We deliver throughout the UK and beyond. Where possible, we deliver via our own transport but we often utilise trusted distribution partners for our online orders. They liaise directly with all our customers at every step of the delivery process. We endeavour to deliver orders as soon as possible. 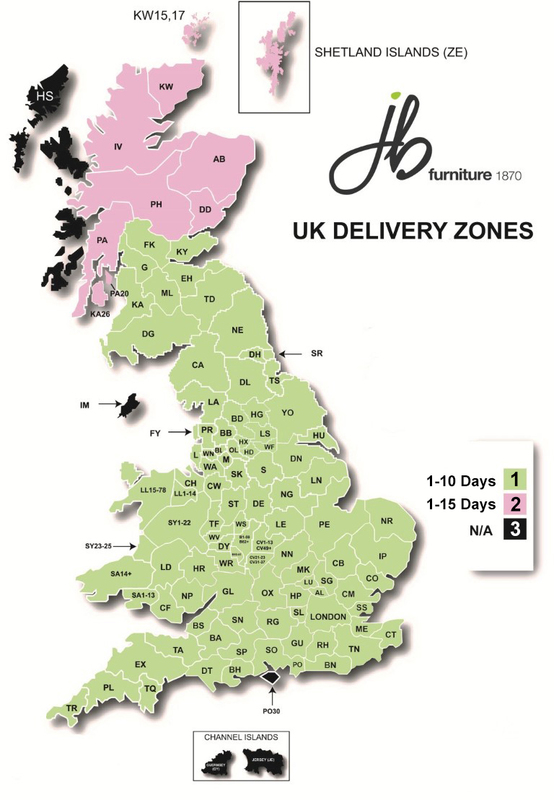 Lead times vary from 1 hour to 15 days depending on stock situation and delivery postcode. The lead times on the zone guide below are for guidelines only. We currently average around 5 days. Online orders are processed through our standard delivery service, free of charge to the majority of UK Mainland postcodes. We aim to complete online orders within five working days of the goods leaving our warehouse but this may be extended during busy times and to parts of Scotland illustrated in zone two below. Upon receipt of the order a confirmation email or text will be sent detailing specific order details. We subsequently contact our customers with an estimated delivery date. Texts and emails will be sent to confirm and update customers leading up to the agreed day of delivery. We usually deliver showroom orders with our own drivers in our own transport. Delivery lead times will be advised at the time of ordering. Once goods have been received by our warehouse we notify customers that their goods are ready for despatch and a suitable date agreed for delivery. 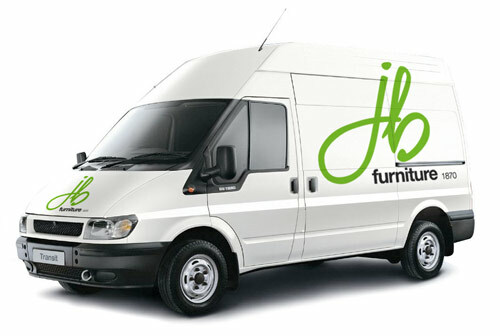 On the day prior to delivery, our driver will confirm an approximate time and deliver to any ground floor room or garden. We endeavour to keep delivery charges at an absolute minimum despite constant rising costs. Charges (where applicable) are calculated on the weight, size and destination of each order. A quote for showroom orders will be made at the time of ordering. If you are looking to furnish an overseas property (which more and more of our customers are doing) please contact us separately with details and we will attempt to ascertain a quote on your behalf from a selection of our overseas distribution partners.